We always spend the holiday season spending a lot on gifts, but does that holiday shopping pay off for stores? 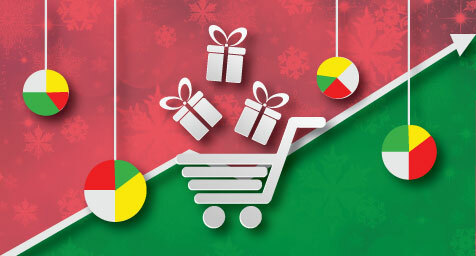 DailyFinance.com just unwrapped a revealing look at how we shop and spend for the holidays. From whether we shop online or stand in line, to if we spend without end or budget our buys, see if our holiday shopping made retailers celebrate. It’s important to realize that the holiday season makes up between 20 percent and 40 percent of retailers’ annual sales. But thanks to advances in technology, each year presents faster and easier ways to shop and buyers keep buying in to these methods. Today, online shopping continues to soar but now more of those sales are made via mobile. While we know that mobile is hotter than ever, it’s still surprising to see how quickly we’ve embraced it for online shopping. This year, Walmart’s website had 400 million page views on Black Friday alone and more than half of them came from mobile devices. Plus, Walmart’s number of mobile purchases tripled from last year’s level. Speaking of Black Friday, this year’s online sales were up 15 percent to $1.2 billion, while the total sales were down three percent to $1.7 billion. Apparently, Black Friday shoppers preferred to browse the sites than buy in the stores. Yet beyond Black Friday, the National Retail Federation (NRF) had high hopes for this year’s shopping season. With our generous holiday shopping spirit and today’s high-tech ways to buy high-ticket items, the NRF projected a 3.9 percent increase in total sales over last year. It turns out they got more than they wished for with a record-breaking season of sales. In fact, online retail sales in the fourth quarter of 2013 increased by 10.3 percent year-over-year, based on IBM’s year-end Digital Analytics Benchmark report. InternetRetailer.com featured more findings from the retail report, including the stellar performance by department stores, which experienced a stunning 62.8 percent rise in online sales from October through December. Sales success was also seen in the 46.4 percent jump for home goods merchants, as well as the nearly 15 percent boost for health and beauty merchandisers, and 10.2 percent increase for apparel sellers. In addition, mobile was even more of a driver of retail Web traffic than in the prior year. The Digital Analytics Benchmark report noted that smartphones and tablets accounted for one-third of online retail traffic in the fourth quarter of 2013. Interestingly, smartphones drove nearly twice the traffic of tablets, but tablet shoppers generated more sales and had higher order values than smartphone shoppers. And this is all to due to the holiday shoppers who were willing to be naughty with budgets to be nice with their gifts. One-third of holiday shoppers said that buying presents for loved ones meant more than sticking to budgets, while 57 percent of parents planned to take on debt to bring joy to their kids.